In this Shop Talk Blog post, we are going to discuss some of the common misconceptions about hydraulics, including some key myths regarding hydraulic motors. Some of it is more or less fun trivia, but we have included a couple of key pieces of information that are very important to the operation of your hydraulic motors. How many of these misconceptions did you already know about? Misconception #1: Final drives and hydraulic motors are the same thing. One of the first misconceptions about hydraulic motors is that final drives and hydraulic motors are the same thing. Strictly speaking, this isn’t accurate. Hydraulic motors convert the energy of a moving fluid into rotational motion. Final drives are hydraulic motors that include a speed-reduction system, often referred to as the planetary hub or the gear hub, in addition to a hydraulic motor. The speed-reduction system increases the available torque. You will also see hydraulic motors and final drives both referred to as wheel motors, wheel drives, track drives, track motors, travel motors, travel drives, and final drive motors. Misconception #2: Hydraulics is a relatively recent innovation. How far back does the history of hydraulics go? 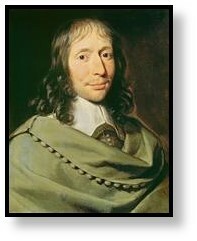 Basic equations that are key to the design and implementation of hydraulic transmissions go back to the 1600s with the work of Blaise Pascal and Daniel Bernoulli in the 1700s. The first modern implementation of hydraulics was a hydraulic press (originally implemented for pumping beer to the taps from the cellars in pubs) as invented by Joseph Bramah in 1795. The first hydraulic motor was the work of Lord William Armstrong in 1876, and is still in use. Misconception #3: During the installation of a hydraulic motor, all you need to do is fit it into place and connect the hoses. Many people believe this myth because oil circulates through the hydraulic components when they are in use. However, the hydraulic motor needs to be filled with hydraulic oil before the first start-up. Failure to do so has been compared to starting an engine with no oil in the crankcase. This will lead to a damaged hydraulic motor and could void any warranties that you have. Always add hydraulic fluid to your hydraulic motor or final drive before you start it. This is true whether it is a John Deere SSL hydraulic drive motor or the hydraulic motor off a CAT multi-terrain loader. Misconception #4: Hydraulics are mainly used in applications like industry, mining, and construction. Nothing could be further from the truth than this statement. Every day you are surrounded by items that are powered by hydraulics. Modern convertibles depend on hydraulics to raise and lower the top of the car. Many amusement park rides, including roller coasters, use hydraulics. Aircraft, from small private planes to massive commercial planes, have complex hydraulic systems at work. Your vehicle's transmission is an application of hydraulics. 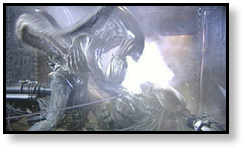 Special effects in movies are often hydraulically activated, like the Xenomorph you can see in the image, not to mention the construction equipment used to build the infrastructure all around us. Misconception #5: The "yellow bucket" hydraulic fluid is just fine for my equipment. The term "yellow bucket" refers to a generic type of tractor hydraulic fluid that is readily available at a very desirable price. Even though there are various types of equipment listed as compatible with this fluid, it simply does not provide the characteristics needed for modern agricultural and construction equipment. The reason that its cost is cheaper is because it is far cheaper to produce than the hydraulic fluids intended for use in modern systems. Using yellow bucket hydraulic fluid can seriously damage your equipment. When it comes to something as important as your equipment, it pays to have the facts and not the myths about hydraulics. While not all the misconceptions discussed were of groundbreaking importance, we do want you to remember not to use "yellow bucket" (or similar) hydraulic fluid in your equipment and remember not to run your hydraulic motor for the first time without adding hydraulic fluid. 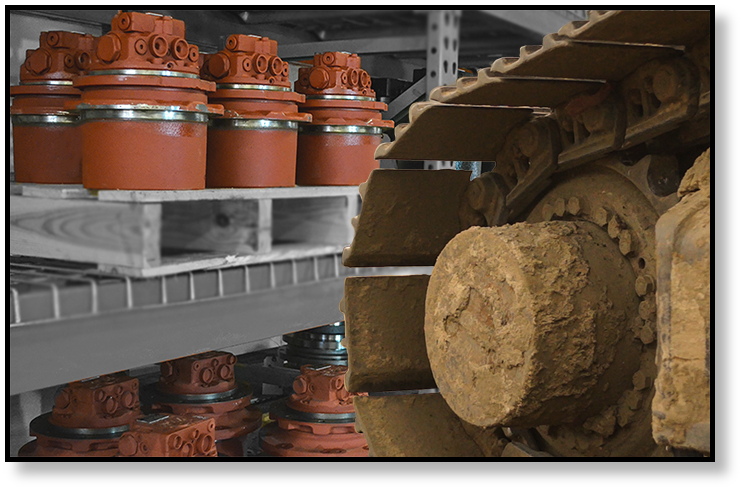 Hydraulic drive motors are Texas Final Drive's area of expertise providing best-in-class new and reman final drive motors. What differentiates Texas Final Drive is our quality, our service and our warranties that gives us the distinction of best-in-class. Check out our latest reman final drive hydraulic motor inventory for John Deere Skid Steer Loaders or look up your manufacturer brand final drive.